If you are looking for low-cost, high-quality women’s fashion pants, then you will find some amazing wholesale deals on a huge range of bulk cases of women’s pants right here, and every single case is available, right now, at huge bulk wholesale discounts. Fashion and style reign supreme at Wholesale Sock Deals and with this amazing collection of discounted wholesale women’s pants, your store will rule the fashion market in your town! Check out the massive discounts that we are offering on women’s sweatpants, Chinos and lounge pants. 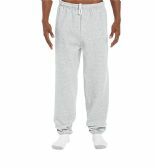 Look at the unbelievably low wholesale prices on women’s fleece pants, Capri pants and pajama pants. We have low wholesale prices on all our women’s pants collection. Right across the board. If you have a women’s fashion store, discount store or a discount apparel store, you can stock up now on inexpensive women’s leggings, denim pants and, fleece pants, and take advantage of our huge wholesale discounts. Wholesale Sock Deals is the number one wholesale supplier of cheap wholesale cases of women’s pants, so don’t miss this remarkable opportunity to get huge bulk discounts on women’s pants, including women’s gym and workout pants, Terry sweatpants and printed pants and Melton pants. Whether you buy bulk cases of women’s fashion pants in assorted colors, ladies mesh Capri pants or woman's zigzag print palazzo pants, you won’t be able to find lower wholesale prices than these on women’s pants anywhere else. The best wholesale deals on women’s trousers, leggings and, pants, are always here at Wholesale Sock Deals, so order your inexpensive women’s pants and get massive wholesale discounts on every case you buy today. These are the biggest wholesale discounts on inexpensive women’s pants around, so don’t let this amazing opportunity to buy bulk cases ladies’ sweatpants, fleece pants, leggings and women’s Chinos slip through your fingers. Order your wholesale women’s pants and help yourself to a huge bulk wholesale discount on us! Our range bulk cases of low-cost pants for women is huge. 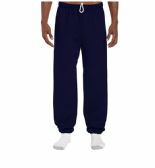 We have women’s lounge pants, fashion pants, pajama pants, Capri pants and more, and they are all available now at the lowest wholesale prices on the market. Wholesale Sock Deals is the top wholesale supplier of low-cost women’s fashion, so you can be sure that we always offer the lowest wholesale prices on items like women’s casual pants, denim pants, printed fashion leggings, and ladies pants for working out and for the gym. We are big on style and big on discounts, so take a good look around our full range of women’s fashion, women’s socks and pantyhose and women’s pants and stock up your store with the best quality, low-cost women’s fashion around. From Terry sweatpants to Women’s Melton pants, the biggest wholesale discounts on women’s casual trousers and leggings are always to be found at Wholesale Sock Deals, so don’t waste your time shopping around, because the best deals and the biggest wholesale discounts are right here! Shipping is always free at Wholesale Sock Deals, so order your bulk cases of cheap wholesale women’s pants now and your store soon have the best quality, low-cost women’s fashion pants and leggings in town!